Become a master sword maker in your own right with this exciting DIY sword making kit. 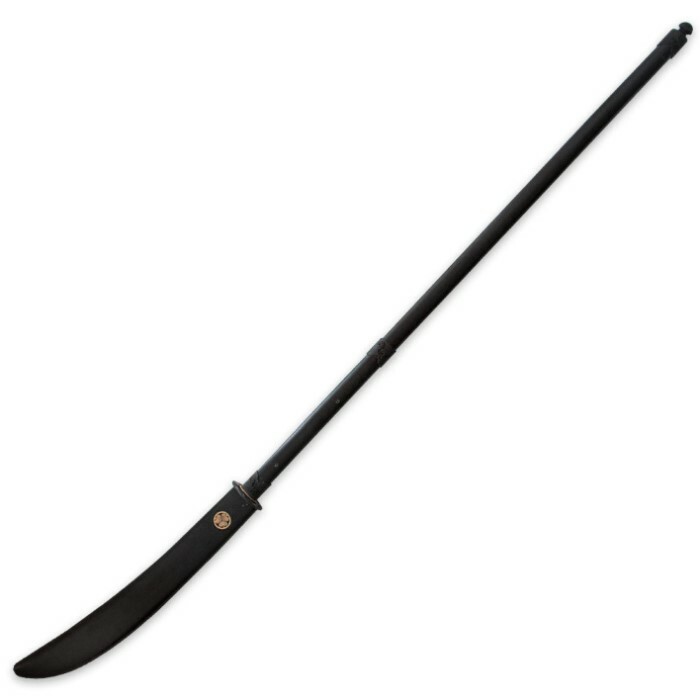 You get to hand assemble this piece, the result of which will be your very own handcrafted 70” naginata sword complete with a 20” hand-forged blade. 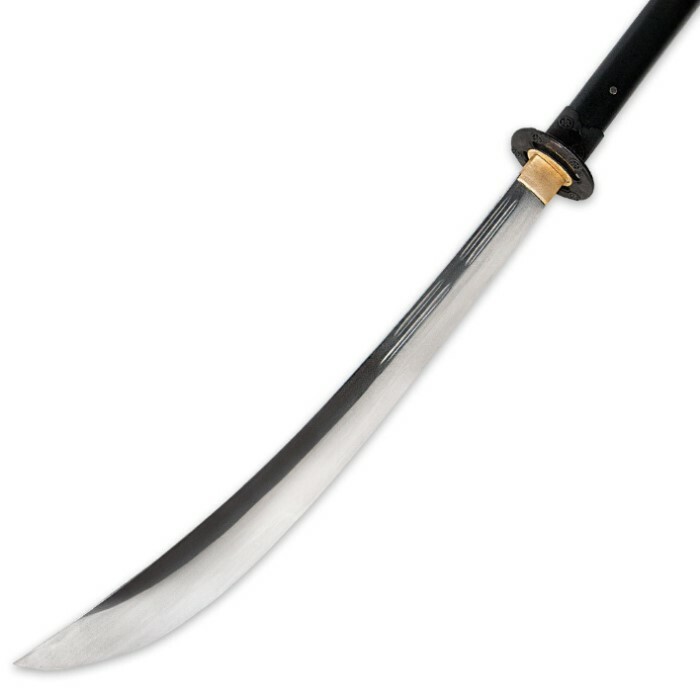 The carbon steel blade is hefty, thick and strong, with an aged finish for added authenticity. It meets the wooden shaft with a brass habaki blade sleeve and customizable tsuba and fittings. This is one DIY project you will enjoy every minute of! A leather blade scabbard is included. Very nice in looks; went together nicely; cut one water-filled jug cleanly on the first stroke; then the handle snapped in two on the blade's impact with the second jug, sending the razor-sharp blade flying. The break was right where the rearward of the two blade-retaining bamboo pegs go through the handle. The blade and guard seemed very promising, and the overall fit and finish were quite good for an item at this price point--but the combination of the handle material (appeared to be solid wood of some kind, but apparently not as strong as it needed to be) and configuration seemed, in my case, at least, to have resulted in catastrophic failure. I'd buy this again, if I trusted the handle.